I am a scholar of twentieth- and twenty-first-century America, with a focus on the cultural, social, and political histories and experiences of urban development. 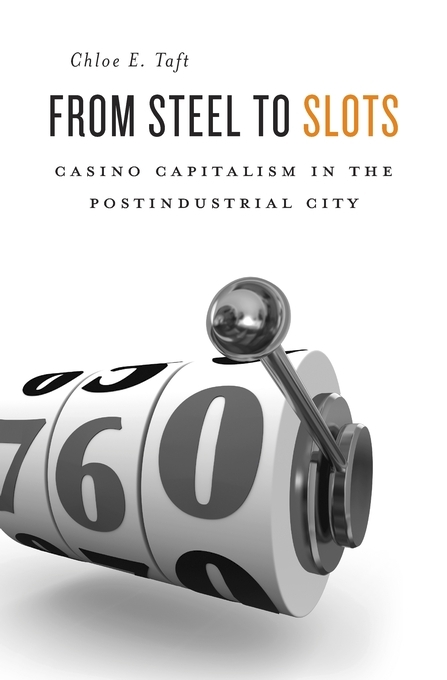 My book, ﻿From Steel to Slots: Casino Capitalism in the Postindustrial City ﻿was published in 2016 by Harvard University Press. I earned ﻿﻿my PhD in American Studies from Yale University in 2014. My research, writing, and teaching have focused on urban history, postindustrial redevelopment, historic preservation, the built environment, and ethnographic approaches to understanding economic change and inequality. I am interested in how people use and have used local landscapes to make sense of global transitions and formulate expectations for community development. I also have done freelance research, writing, and editing in the professional fields of urban planning, development, and design. Now I work in the Office of Foundation Relations at Northwestern University, helping connect faculty with private foundation funding. Bethlehem, Pennsylvania, was once synonymous with steel. But after the factories closed, the city bet its future on a new industry: casino gambling. On the site of the former Bethlehem Steel plant, thousands of flashing slot machines and digital bells replaced the fires in the blast furnaces and the shift change whistles of the industrial workplace. From Steel to Slots tells the story of a city struggling to make sense of the ways in which local jobs, landscapes, and identities are transformed by global capitalism. Postindustrial redevelopment often makes a clean break with a city’s rusted past. In Bethlehem, where the new casino is industrial-themed, the city’s heritage continues to dominate the built environment and infuse everyday experiences. Through the voices of steelworkers, casino dealers, preservationists, immigrants, and executives, Chloe Taft examines the ongoing legacies of corporate presence and urban development in a small city—and their uneven effects. Today, multinational casino corporations increasingly act as urban planners, promising jobs and new tax revenues to ailing communities. Yet in an industry premised on risk and capital liquidity, short-term gains do not necessarily mean long-term commitments to local needs. While residents often have few cards to play in the face of global capital and private development, Taft argues that the shape economic progress takes is not inevitable, nor must it always look forward. Memories of corporations’ accountability to communities persist, and citizens see alternatives for more equitable futures in the layered landscapes all around them. as among the "best books published in 2016"